You've thought about your lifestyle, possible breeds, gender, etc. So now it's time to learn a bit about the process of adopting a dog from a shelter. Every shelter's process varies a little, but basically follows a similar path. First, before you head out to the shelter, it's a good idea to have your home already prepared for his arrival - just in case. In addition, it's best if you've already purchased the items he'll need to make the smoothest possible transition. Then: You visit as many times as it takes to find "your" dog. Try not to go in expecting to find him the first time, because you may not. (Although it is difficult to leave without a new family member once you're there.) It's really important to find the right dog for you; and for you to be the right owner for him. Bring a notepad and pen so you can write down pertinent information to the important questions you'll surely want to ask. And if you can, bring along a digital camera. Some shelters may not let you take shots of their dogs, but most will. Some time spent away from the shelter with your notes and some pictures may just make you go back to claim the dog that was meant to be forever yours. Now, it's very easy to fall in love at first sight, but you should spend time with a dog before adopting him. Look for a dog who's happy and friendly, and avoid aggressive dogs. Many shelter dogs are energetic because they've been confined. If he seems "full of beans," it's no reason to rule him out. If you find one you think is meant for you, you'll set the "application to adopt" process in motion. What kind of dog do you want? Now, many of these queries may seem like an invasion of privacy, or worse, irrelevant to your particular situation. But keep in mind that the purpose of these questions is to place a dog in the best home for him, weed out people who will potentially abuse their dogs (use them for dog fights, etc. 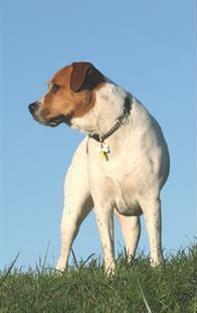 ), and keep the chances of having the dog returned to the shelter as slim as possible. And then - unless he needs to be spayed or neutered first - you can take your very grateful new dog home immediately! Adopting a dog is a serious years long commitment. That's why the process is so involved. If you're having second thoughts at any point, listen to your instinct and walk away until you're 100% sure.